Watch Below - Betty Reid Soskin, author of Sign My Name to Freedom, a Memoir of a Pioneering Life, a book about her life and times in a racially-divided America, was recently interviewed for the first anniversary of the Women And Manufacturing podcast by Lew Weiss, founder of the Women And Manufacturing podcast, as well as founder of Manufacturing Talk Radio and show host, joined by his co-host Tim Grady. Betty has been an entrepreneur business owner, a wife and mother, an activist, a singer-songwriter and performer, a legislative aide, author, and at 97 is the oldest active park ranger in the National Park Service to date. During the interview, Betty speaks of her experiences growing up when Afro American's had few rights, including the right to vote, the segregation of public facilities from public bathrooms to public transportation and restaurants, through the civil rights struggle to the present - a time when she feels that healing is taking place in America between the races. This soft-spoken woman discusses with dignity and without anger her journey through life in a divided America with Manufacturing Talk Radio founder Lew Weiss, and co-host, Tim Grady. 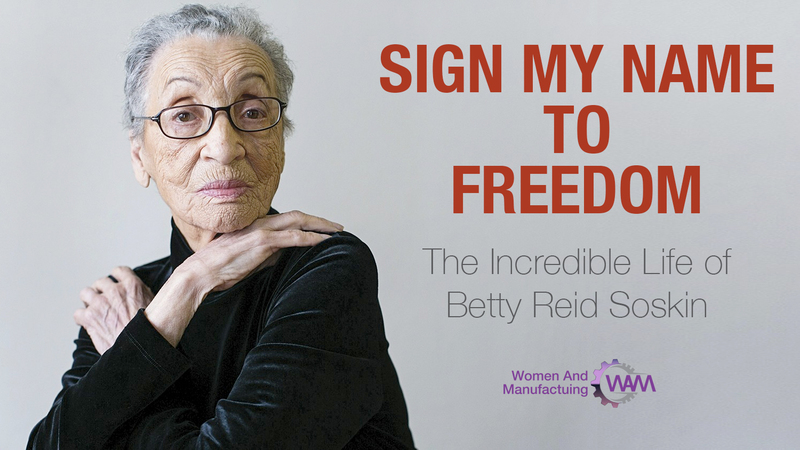 "When we launched Women And Manufacturing, my co-host, Tim Grady, and I interviewed one of the original Rosie the Riveters, Anna Hess, who lied about being 16 (she was only 15 at the time) to work in a tire factory to support the war effort. This was the beginning of launching the show by interviewing someone who lived manufacturing at a turning point in American history, and in fact, world history. It is with great reverence that we interviewed Anna Hess, and with equal reverence that we interviewed Betty," said Mr. Weiss. Indeed, speaking to someone who has lived and participated during some of the greatest social upheavals in modern times is a rare privilege for any talk show host. This interview is especially noteworthy because it touches on one of the greatest social divisions in America today, as the country grapples with its mixed culture to fulfill the promise of the Bills of Rights, "...that all men [and women] are created equal, that they are endowed by their Creator with certain unalienable Rights, that among these are Life, Liberty and the Pursuit of Happiness. 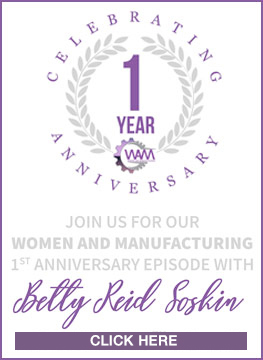 It is with this profound respect that we are pleased to present this interview for the 1st anniversary of the Women And Manufacturing podcast. 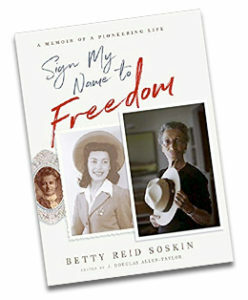 In addition, we encourage listeners to pick up a copy of Betty's book, Sign My Name to Freedom, a Memoir of a Pioneering Life, which chronicles Betty's journey and incredible accomplishments in the face of extreme racial prejudice in America. Her life will also be highlighted in two upcoming documentaries, one expected by year-end 2018, and the other before the end of 2019. Finally, we wish to thank Betty, her son, and all those involved in making this fascinating interview possible. It has been an honor to present all of the interviews of accomplished women over the past 12 months who have been interviewed by women of their own remarkable accomplishments, all of whom have shared invaluable and insightful information that will be useful for women of all ages, especially those in the working years - which has been uniquely redefined by Betty Soskin herself, still actively working and contributing well into her 90's. Want an alert when the show is online? We'll send an alert when this and other episodes are available.